University of North Carolina Lineberger Comprehensive Cancer Center researchers presented innovative new strategies for using tiny particles – particles the size of a DNA molecule or the width of a human hair – to boost cancer treatment as part of the Carolina Center of Cancer Nanotechnology Excellence/National Cancer Institute site visit on Tuesday. 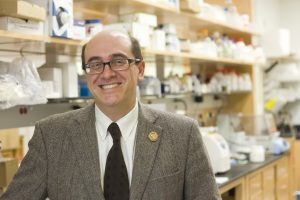 The researchers, who are members of the Carolina Center of Cancer Nanotechnology Excellence, delivered updates on their latest research into using nanotechnology to potentially improve cancer treatment as part of the day’s agenda of meetings, talks and poster presentations at the Carolina Club. 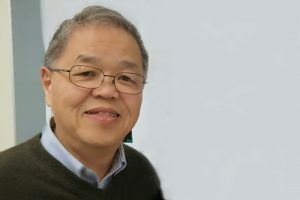 The day included a presentation by Huang into the potential use of a nanoparticle formulation of a drug to impact blood vessel dilation around tumors, and another from UNC Lineberger’s Alexander Kabanov, PhD, DrSci, Mescal S. Ferguson Distinguished Professor in the UNC Eshelman School of Pharmacy, into using nanoparticles to deliver multiple therapeutics simultaneously. 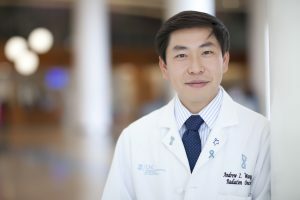 UNC Lineberger’s Andrew Wang, MD, associate professor in the UNC School of Medicine Department of Radiation Oncology, spoke on efforts to develop nanoparticle formulations to deliver precision medicine-derived cancer vaccines. 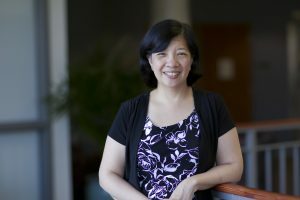 UNC Lineberger’s Jenny P. Y. Ting, PhD, William Rand Kenan Professor of Genetics, discussed her lab’s ongoing research into microparticles to deliver molecular packages into immune “scouts” to help stimulate other cancer-killing immune cells to fight tumors. These immune system “scouts” are macrophages or dendritic cells that roam the body searching for invaders. These scouts are then charged with alerting and activating T-cells, a type of immune cell, to kill tumors or invading microbial pathogens. Ting’s lab has researched a way to stimulate these scouts in order to ramp up T-cell activation. Ting’s laboratory has shown promise in early studies with Kristy Ainslie, PhD, associate professor in the UNC Eshelman School of Pharmacy, and Eric Bachelder, PhD, research assistant professor in the UNC Eshelman School of Pharmacy, for using these packages to activate the scouts. One barrier to this method has been getting these activation molecules into them, and the microparticles help solve that problem, Ting said.